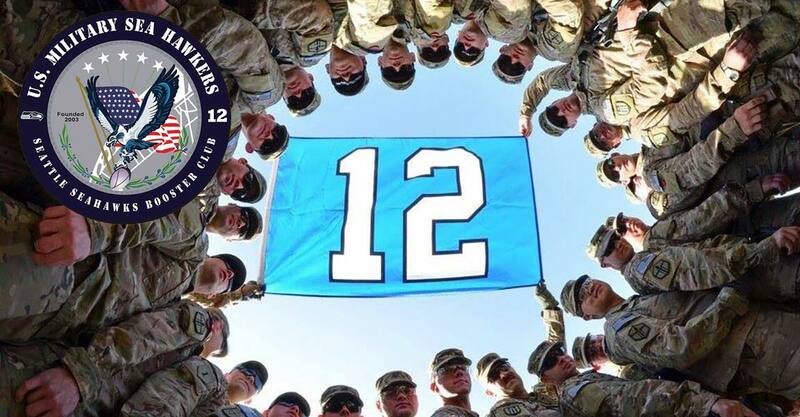 SEATTLE, Wash. (NNS) — The Seattle Seahawks honored service members throughout the Pacific Northwest at Qwest Field, Dec. 19, during pre-game ceremonies as part of an annual Military Appreciation Day celebration. Prior to the game between Seattle and the Atlanta Falcons, service members from the Army, Navy, Marine Corps, Air Force and Coast Guard lined up behind the end zone as NFL team players shook hands and interacted with them during warm-ups. 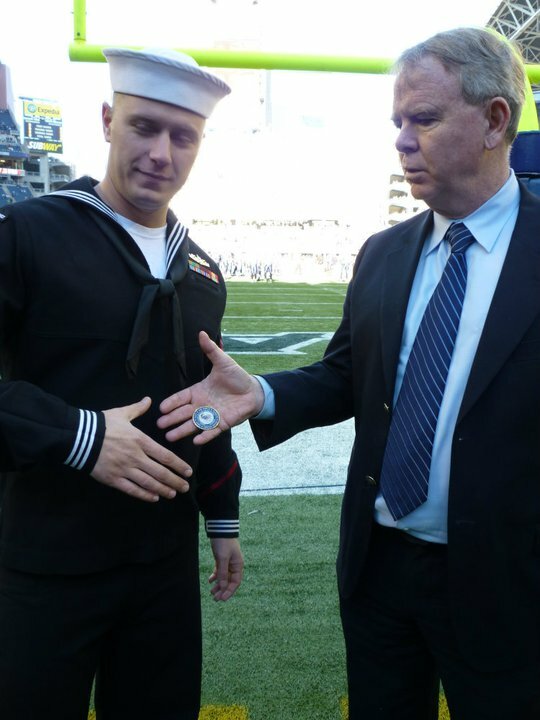 Some Sailors had the opportunity to re-enlist on the field before the game started. The pre-game ceremonies included the U.S. Military Sea Hawker Color Guard and a performance of the National Anthem by national recording artist Elliott Yamin, and the unveiling of a giant American flag over midfield by local service members. The game ended with a 34-18 Atlanta Falcons win over the Seahawks.